Dubai, UAE – 22 July 2018: Samsung Gulf Electronics today announced the arrival of the latest edition to the Galaxy J-Series with the launch the 2018 Galaxy J8 smartphone in the UAE. In addition to delivering Samsung’s signature Infinity Display, the Galaxy J8 boasts true to life colors, brighter photographs and facial recognition technology, as well as sleek curves and seamless lines, and a comfortable grip. “At Samsung our aim is to create synergies within our Galaxy range of offerings, we are delivering the features of our flagship devices to our more affordable smartphones to truly exceed the expectation of our customers. Targeted at the discerning millennial, the Galaxy J8 is a personalized and intuitive device that delivers on domains that are important to this target group such as low light photography capabilities and a screen made for watching,” said Tarek Sabbagh, Head of IT and Mobile (IM) Division, Samsung Gulf Electronics. The Galaxy J8 features an infinity display, giving users nearly 15% more display area without increasing the overall size of the device. Encased stunning unibody featuring sleek curves and an ergonomic design that fits comfortably in the palm of your hand, the Galaxy J8 features a 6” HD+ super AMOLED screen and an 18.5:9 aspect ratio, providing an end-to-end viewing experience and more browsing space. The latest addition to the J-Series range comes with a dual rear camera, where the primary camera has 16MP and f/1.7 aperture, while the secondary rear camera has 5MP and f/1.9 aperture. With Live Focus, a flagship feature, users can take stunning portraits with background blur meaning that users can capture an outstanding portrait every time. Dark surroundings don’t always mean dark photos, thanks to LED flash and adjustable selfie flash consumers can now take glamourous selfies in low light. The 16MP front camera of the Galaxy J8 has an f/1.9 aperture to deliver the best low light camera performance in the industry. It also enables face unlock as an additional security feature. The Galaxy J8 packs a punch when it comes to performance. It comes with an Octa core processor with Samsung’s advanced memory management feature that automatically directs content from social media applications to the external memory card. The Galaxy J8 is powered by a 3,500mAh battery, and runs on latest Android operating system – Android Oreo. 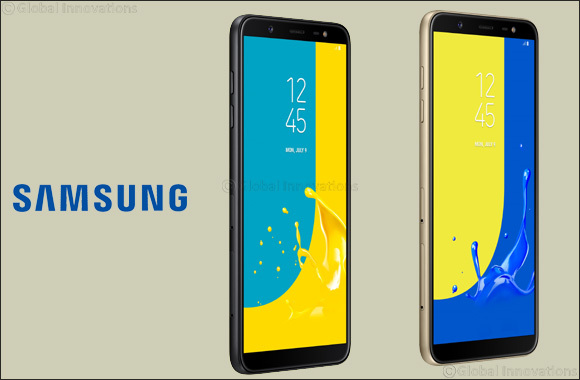 The Samsung Galaxy J8 is available at all major retailers and Samsung Brand stores across the UAE, as well as online at Shop.Samsung.com and is priced at AED AED 999.00 (GB 32) and AED 1,199.00 (GB 64) The Galaxy J8 device comes in three distinct colours – black, gold and orchid gray.